If Virgin Galactic’s $250,000 asking price for a ride aboard SpaceShipTwo to the edge of space is a little on the steep side, perhaps you can scrabble together the $75,000 required for a balloon-based experience also offering a view of Earth from up high. Arizona-based World View Enterprises, a startup born out of the Paragon Space Development Corporation, announced this week the successful completion of a high-altitude test flight of a stratospheric balloon and capsule based on a final design being prepped for commercial service in 2016. “We couldn’t be any more excited about the results from this test flight,” World View CEO Jane Pointer said this week, adding that it represents “a foundational achievement that moves us one step closer to offering a life-changing experience” for its future passengers. The five-hour test flight, which launched from Roswell, New Mexico, involved taking the massive helium balloon and capsule to an altitude of 120,000 feet (36,600 meters) – about the height from which Austrian extreme skydiver Felix Baumgartner jumped in 2012. Once the team was satisfied with its performance at that altitude, the test vehicle was brought down to 50,000 feet (15,200 meters), at which point it deployed a parafoil to bring it gently back to terra firma. 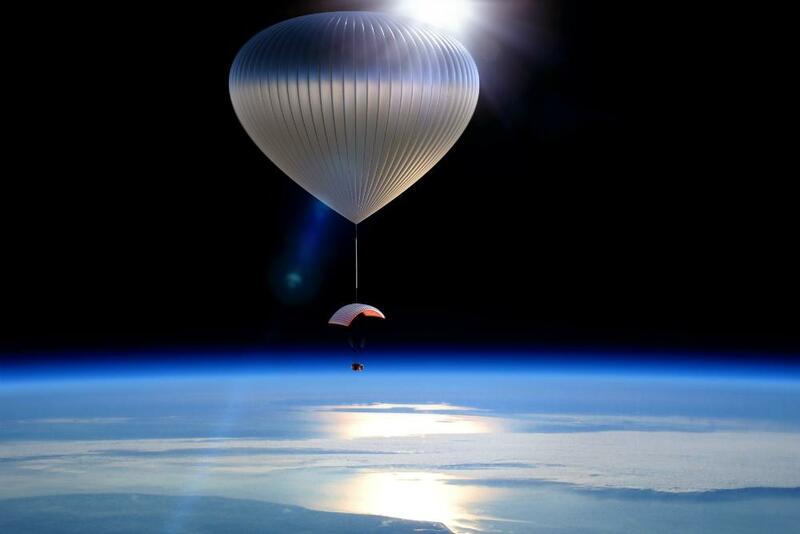 The plan is to offer regular folk – or regular folk with $75,000 to spare – a “peaceful” flight to the edge of space “for a two-hour sailing-like experience,” World View explains on its website. In contrast, SpaceShipTwo fliers would only experience suborbital conditions for several minutes. Those aboard World View’s eight-person capsule (two crew and six passengers) will be able to “marvel at the beauty of the Earth below and watch the sun slowly rise above the curvature of our planet suspended in a vast, black and infinite universe,” according to the startup. It also plans to attract educators, researchers, private companies and government agencies interested in making use of the near-space environment. While Virgin Galactic’s SpaceShipTwo is designed to take passengers more than 65 miles above the Earth’s surface – compared to 23 miles with World View’s service – the longer, and more serene experience (not to mention the more attractive price tag) may well persuade some space enthusiasts with money in the bank to opt for the startup’s experience.